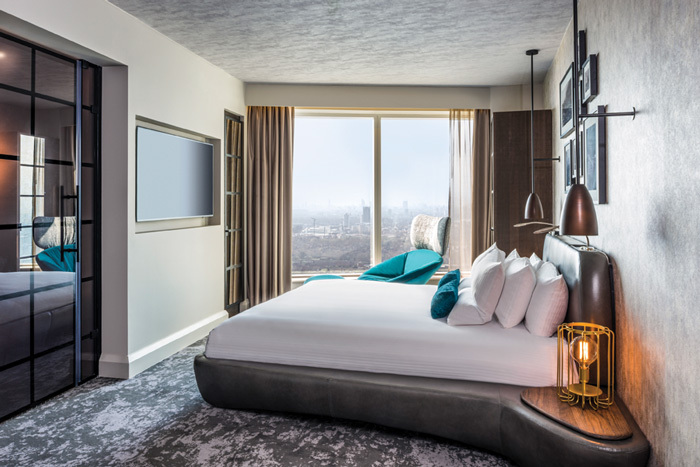 Koncept has designed a stylish interior scheme for Canary Wharf’s Novotel; a 39-storey hotel that boasts 313 rooms and 26 individually designed suites. 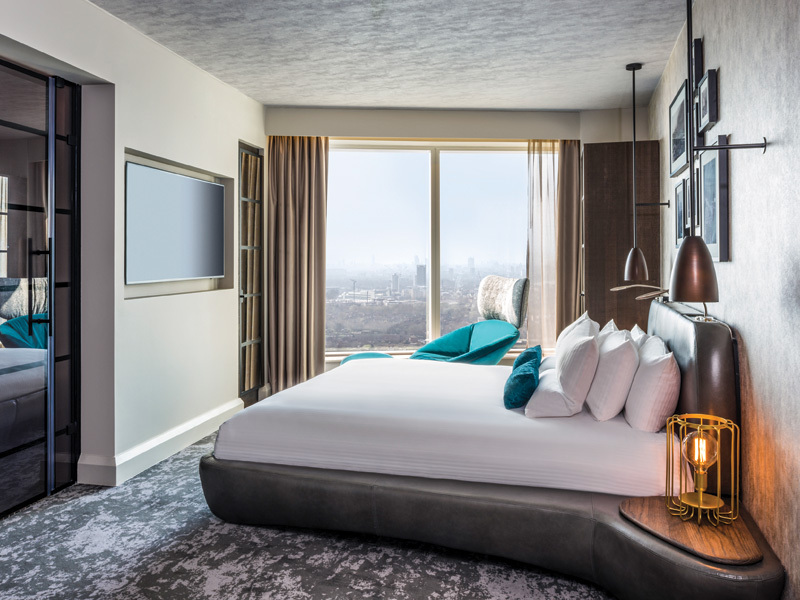 The complex also features a state-of-the-art gym and pool, nine fully equipped meeting rooms, a contemporary restaurant, bar and roof terrace with panoramic views across London. 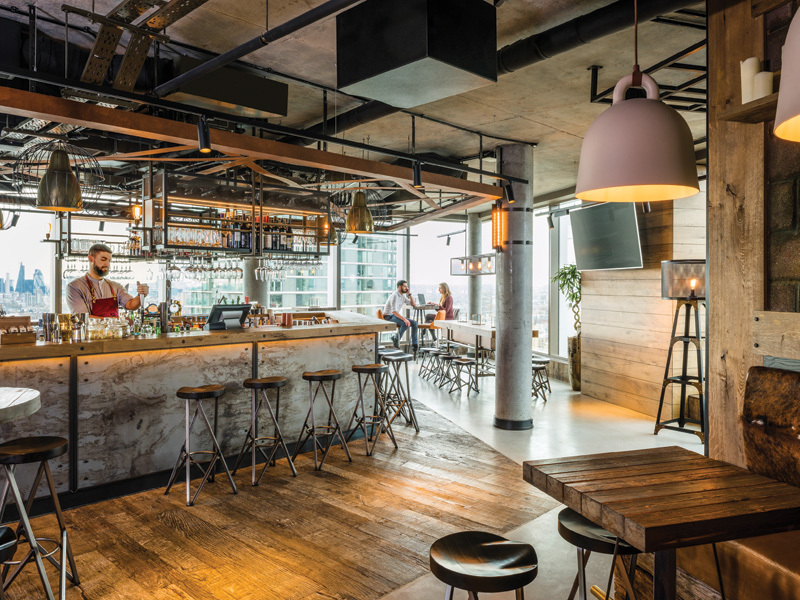 Koncept’s design draws its inspiration from the industrial maritime age and the Canary Islands. Now the home of London’s financial district, it was once a thriving port, importing exotic spices, tea, rum, coffee and silk from the West and East Indies. Throughout the building there are references to the old port’s rich heritage. 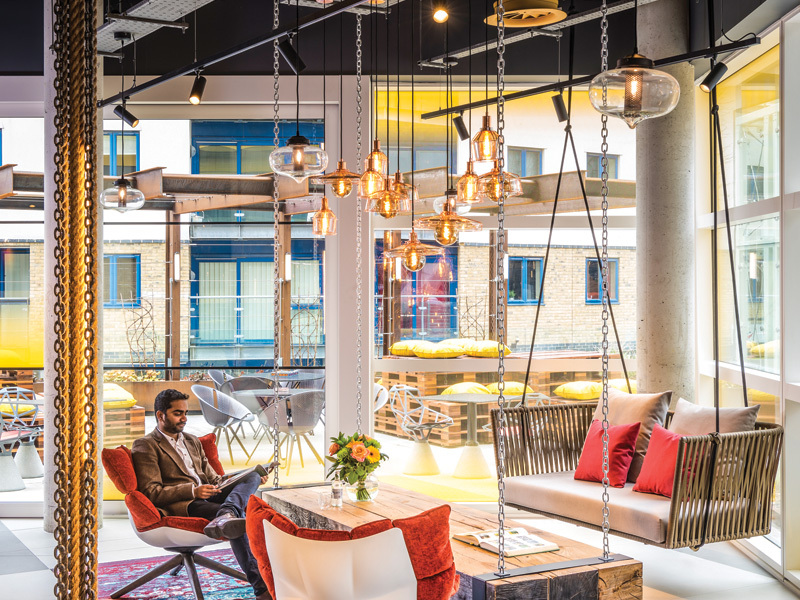 From the use of authentic materials, patterns and textures coupled with contemporary bespoke furniture, the interior scheme brings part of an industrial history back to life. 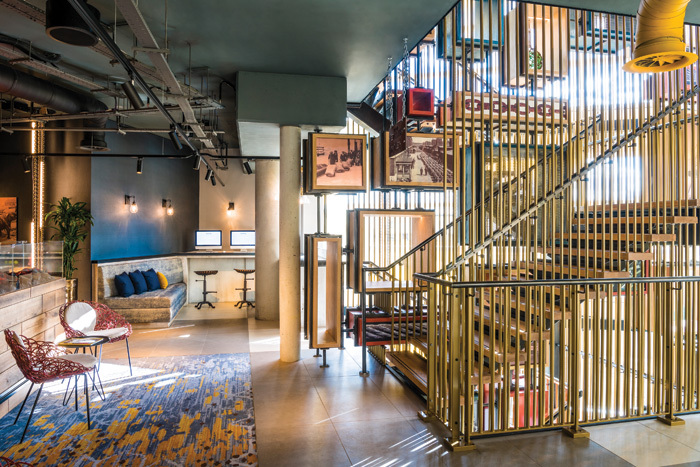 Despite the hotel’s numerous floors, Koncept says it was a difficult design brief to deliver owing to the building’s small footprint. 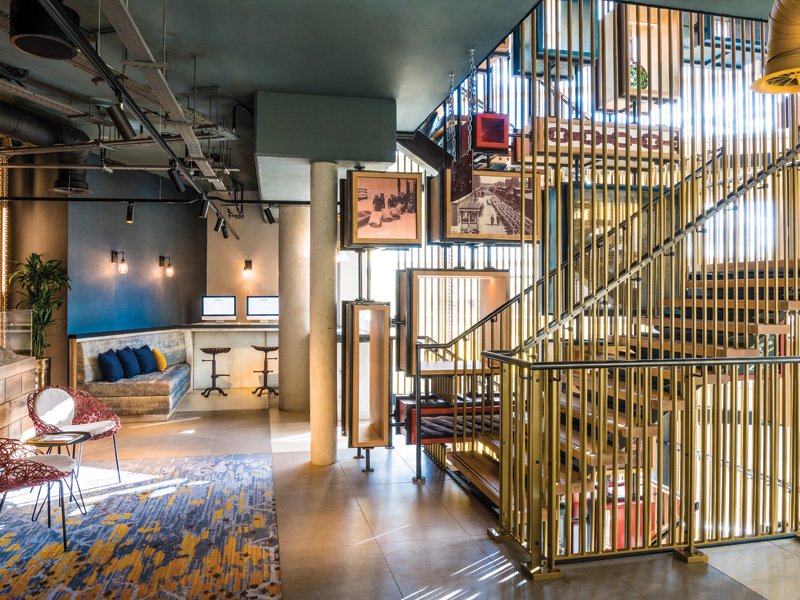 Traditional hotel layouts will ‘flow’ with, for example, a reception area leading through to bar and restaurant. 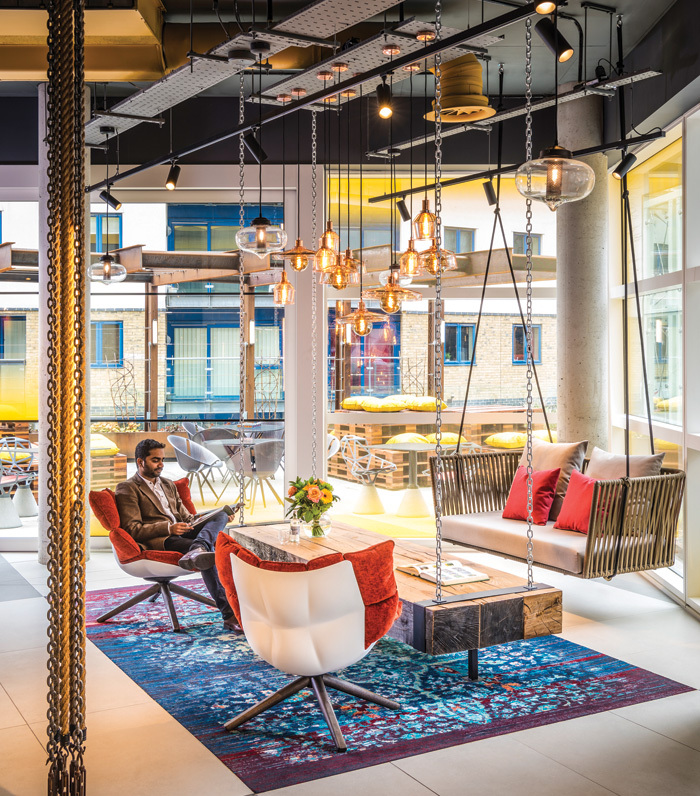 But the Canary Wharf space needed guests flowing vertically from one facility to another. 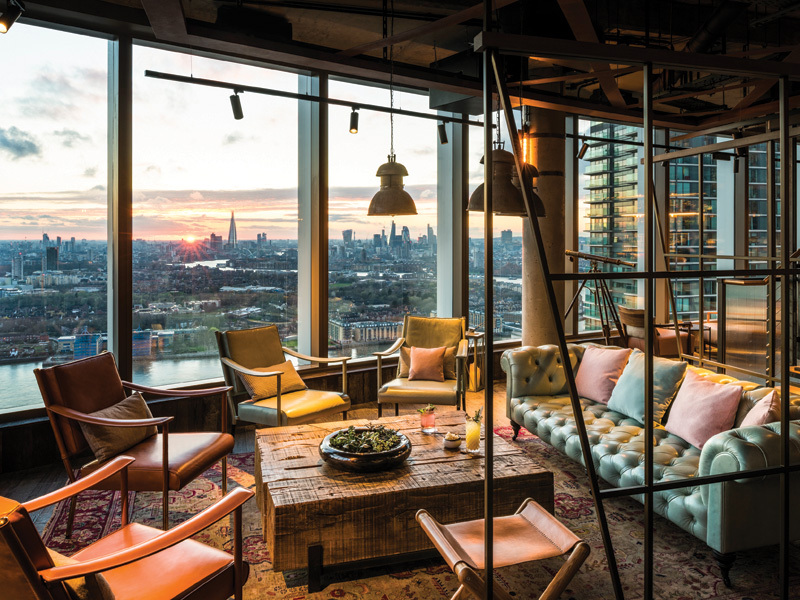 It’s the upper levels – floors 37 to 39 – where guests find the hotel’s bar and restaurant areas, complete with roof terrace, on the 39th floor. A retractable roof design by Breezefree means an outside space for hotel guests to enjoy magnificent city views. 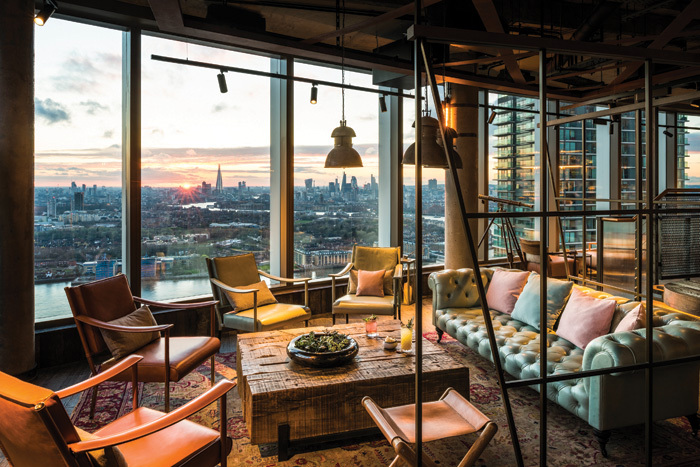 ‘The view from this 39th-floor terrace is one of the best and most accessible viewing points open to the public, and one that must be experienced,’ says Scott. In addition to the guest room floors are also three floors of suites, starting on the 32nd floor. 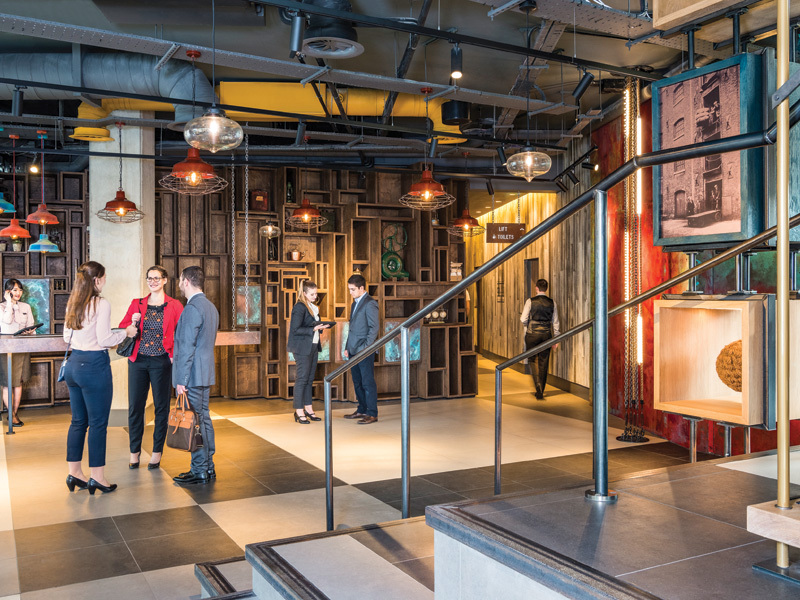 Being located in London’s financial hub, it was important to include the all-important meeting room. 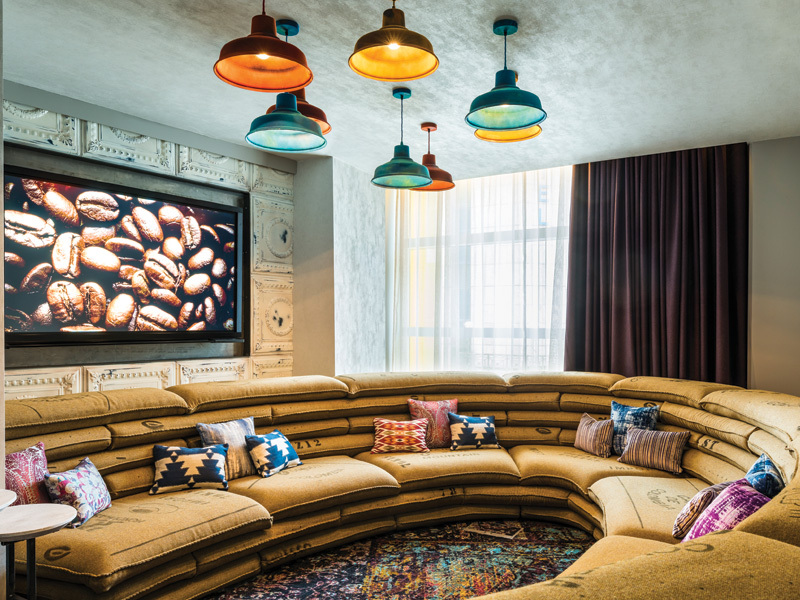 Yet moving away from the ‘typical’ sterile hotel meeting room concept, instead each meeting room is a stimulating, vibrant meeting and relaxing space. 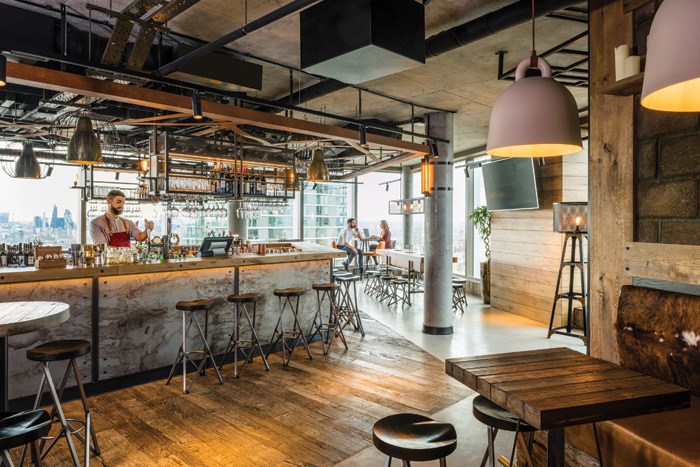 The largest meeting room features a table that can be winched up into the ceiling space to provide a combination of room layouts. 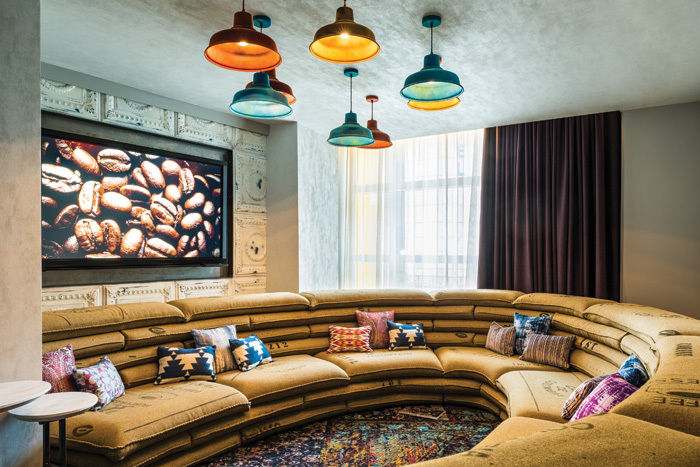 Winches, shackles and pullies have been left exposed – not your typical meeting room equipment and probably not what you’d have expected to find in a Novotel hotel.